Our post today comes from an interview with Dan Miller, co-founder of the real estate crowdfunding site Fundrise. Dan and his brother started the platform in 2010 as a spin-off of a family real estate development business. After a decade of developing mixed-use space in the District of Columbia, technology had caught up to their idea of allowing anybody to invest alongside the firm. After working through the regulatory process for three years, the platform is offering a unique model in real estate crowdfunding. Not only can non-accredited real estate investors participate, something no other platform offers, but the platform also funds all deals upfront before going live on the site. More than any other sector, real estate has seen the most benefit from passage of Title II of the JOBS Act. Increased regulatory burden has seen traditional lenders limit funding to the space even as real estate rebounded from the recession. Direct investment in real estate has always been a staple of portfolios for wealthy investors so the ability to directly solicit the crowd has been a huge leap forward. The industry is really evolving in two different directions, traditional platforms that publicize deals from many developers and developers launching their own platform to directly fund their deals. 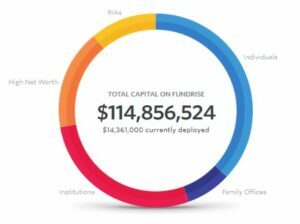 One of the things that interested me most about Fundrise was that non-accredited investors have been able to participate in some real estate crowdfunding deals. Dan: So from the idea and our goal of allowing anybody to invest with us, we started with local deals and went through the regulatory structure so that residents of DC, Maryland, or Virginia could invest in projects for as little as one hundred dollars. Since that first deal, we’ve done three offerings that have been available to residents, regardless of investor accreditation. It’s really on a deal-by-deal basis and depending on securities laws within the particular state. Bank lending to real estate developers has fallen off since the recession. Besides crowdfunding, p2p loans and other personal loans have helped to bridge the gap. I follow several real estate platforms to get access to as many deals as possible. It costs nothing extra to have an account on more than one crowdfunding site and you'll be able to invest in more deals. RealtyShares is quickly becoming the leader in real estate crowdfunding after it acquired another platform recently. It's usually got the most deals available and offers a mix of equity and debt investments. More than 30,000 investors have funded $300 million in deals across commercial and residential. PeerStreet offers investment in real estate debt on commercial property. Since the debt is back by the property, it's much safer than equity investment but still targets returns between 8% and 12% on an annual basis. I use PeerStreet to balance out the risk in my equity investments on other platforms. So how would someone, maybe a developer, go about raising funds on Fundrise? Dan: Our focus is on urban development projects, the top 25 MSAs. Most of the deals are $30 million and below. It’s another way that we are able to be unique in that most institutions will not invest in something so small. 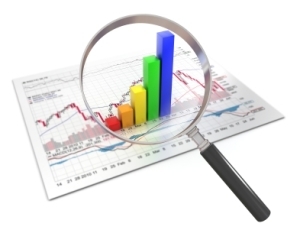 We also fund from our own balance sheet, so we guarantee funds with our own capital. That’s the other thing that really interested me about the platform. How does the real estate crowdfunding process work? Dan: When a real estate development company comes to us, to the site, they submit their company and we arrange an introduction. We talk about the Fundrise concept, what types of deals we are looking at and put together a term sheet. If it is a project that we’d be comfortable investing our own money in, we underwrite the deal, fund it with our own capital, and then put it up on the platform. So when do you decide to pass something through to the site do you retain a level of ownership? Dan: Right now we take this initial risk and then maintain any ownership not bought by investors. We still continue to handle investor management even if our position is sold, we make sure the company is on budget and on schedule. We also maintain the right to step into the deal during a default, so we’re very much active in all the transactions to represent investors. New real estate crowdfunding laws are opening the door for other crowdfunding portals like RealtyShares and a huge opportunity for developers and investors. Not only can investors diversify their real estate portfolio but management expenses are generally lower than investing in REITs. Click here for more information about investing on RealtyShares. So, take me though the process. How long does the process typically take? 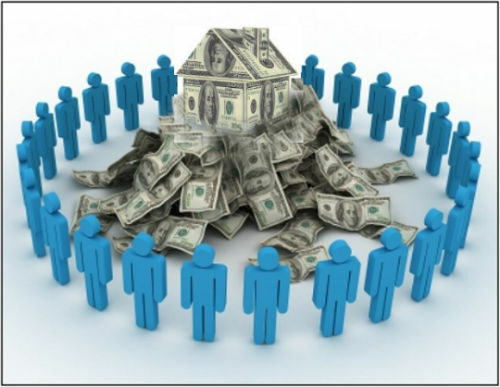 Are there fees associated with raising money with real estate crowdfunding? Dan: We charge two points for origination and closing. The fastest transaction we’ve closed from an initial conversation to closing the deal has been two weeks and that was on an acquisition for a development site in Seattle. Generally we like to get a term sheet done in two weeks. The term sheet would define the closing period. We normally close with a senior lender, so there would be a loan from a bank for maybe 60%, then we would invest for preferred equity on maybe 20% of the deal. Our check size is up to $10 million though most of the deals are between $1 and $3 million. We focus on urban-core, so generally in the top 25 MSAs but we will also look at other markets. Right now we have deals coming up in Nashville, Detroit, Atlanta, DC, New York, and Los Angeles. But we like looking at smaller areas too, working with local real estate operators that have a specific focus or deep knowledge of that market. Sure. At that scale, then you’ll have mostly local developers that know their market very well and are able to drive returns for those real estate markets. Dan: The service that we provide is almost like outsourced capital markets. We can bring the capital reliably on time. We can do recurring transactions with them and at smaller check sizes. Most investors groups don’t want to look at deals under $10 million. Walk me though the investment process on Fundrise. What are the terms? What are some of the returns crowdfunding investors are seeing? Dan: Investors sign up for the site and start receiving notifications when deals become available. Most of the deals are getting mid-teens returns in real estate crowdfunding, I would say between 12% and 16%. The term is between one and three years on average but we’ve done deals for up to seven years. There’s always at least 10% equity from the real estate developers in the most junior first-lien position, so there is that added security. We have an investor relations team available and we just try to educate our users as much as possible on the process, what they’re buying, and how the platform works. Investors get updates digitally and their distributions are direct deposited to their bank account. The only fee we charge investors is a 50 basis points (0.5%) servicing fee. Any plans for innovations as far as the platform, what it can offer to crowdfunding investors? Dan: I think our tech product is really exceptional, far and away the best in the market. One feature that we will be adding in the spring, we’re going to allow foreign investors to invest. We’re excited about foreign investors because it’s an opportunity that really is only available because of technology. I think that we’ll see growth from that in the long-term and will allow us to place more capital at cheaper costs to real estate operators. Sounds like the potential for huge growth. Any other input on real estate crowdfunding or on the market in general? Dan: I think for us it’s about building credibility with our brand as a platform. Our family has a long history in real estate and that’s translated to an ability to bring in really high-quality deals. Like any business, particularly within the investment world, it has to be built over time as people see returns come through and developers feel like they are being treated well. It’s the kind of thing that takes a while to grow but it’s really starting to accelerate and I think that 2018 is going to be a huge year for the industry. I share Dan’s outlook for real estate crowdfunding in 2018. As more developers see the benefit and more investors get more comfortable with the medium, the increase in liquidity could really drive prices and the market. While I started this blog with an eye to passage of Title III and the democratization of crowdfunding to everyone, it is nice to see that one platform has figured out a way to bring real estate crowdfunding to everyone without waiting on the SEC. I want to thank Dan Miller for the interview and thank you, the Crowd101 community, for reading.